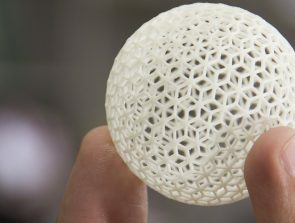 The worldwide community of 3D printing enthusiasts is growing by leaps and bounds every day. While some members of the community are content to buy their printers from top manufacturers, there are also those whose instinct to build things from scratch is so strong that they even decide to build their own 3D printing machine! Don’t Miss: Best 3D Printers of 2017. If you are such enthusiast (known affectionately within the community as Do-It-Yourself-ers), here’s a guide to the steps you will need to take to make your own 3D printer kit from scratch. You can start from scratch and build a printer whose every nut, bolt and wiring has been put in place by you. The great thing about this method is that it is a great learning process. You will become familiar with every small detail that went into creating the printer, and be able to make any repairs that might be needed later. The disadvantage is that this method requires great technical knowledge of the process if you want to build a working 3D printer, which is not possessed by most amateur hobbyists. It will also take a long time to collect all the printer parts and put in every piece of the equipment by hand. You can go for the quicker route by buying a 3D printer building kit. These kits are sold by many top 3D manufacturing companies. The kit is accompanied by an instruction manual with easy, step-by-step explanations for building the printer. The kit will contain all the parts you need to build the printer, and any misplaced pieces of machinery can usually be re-ordered from the manufacturer. A disadvantage offered by this method is that you will not learn as much about the inner working of the printer. If something goes wrong with the machine at a later time, you will have to call in an expert to fix the problem instead of taking care of it yourself. 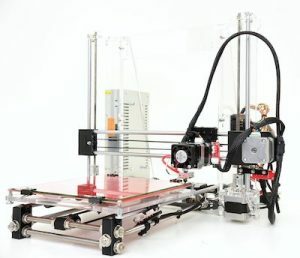 Reprap is extremely popular with 3D printing enthusiasts. You can buy parts and build your own printer. There is a huge community you can get tips from too. The coolest part is you can use your printer to build an copy entirely by itself. RepRaps can be purchased on Amazon for a few hundred dollars. 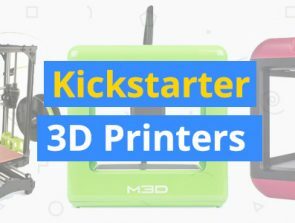 There are a lot of 3D printer kits to choose from. Take a look at the best 3D printer kits of 2018. Once you’ve decided on the method of creating a printer, it’s time to ask yourself exactly what kind of a machine you want to build. Here are a few questions that will need to be answered in the process of figuring out your printer’s specifications. Look: What kind of a look do you want for the printer? Part of the pleasure of owning a 3D printer is showing off the machine to your friends. If you’re looking for some serious bragging rights, you’ll want a cool, futuristic look for the machine. Such a design is rarely achievable when you’re building a printer completely from scratch, and you’d be better off buying a 3D printer builder kit after checking the last page of the instruction manual to make sure the assembled product will look the way you want it to. Specs: What capabilities do you require from the printer? How much power should it consume? What size parts should it be able to manufacture? Should it be able to use multiple filaments at once? Should it carry a heating bed? Should it be partly automated or require complete manual control? The more fancy add-ons you desire from your printer, the more difficult will it be to create the machine. The best thing you can do is start by building the most basic printer possible, and over time keep adding few features to it according to your needs. There are many sites which carry detailed instructions on the constituent parts of various 3D printer models. Use those sites to compile a list of machine parts that you need to look for. Also look for a guide which will tell you about each individual step that needs to be taken to build the printer. There are many eBooks and instructionals online which provide very specific instructions on carrying out the building process. Visit sites which sell second-hand 3D printer parts, or ask around on 3D printing forums for any 3D printer parts that other members would be willing to sell to you at reduced rates. You can save a lot of money buying the parts second-hand and still get the same performance provided you do a thorough quality-check prior to buying. But there will be certain other parts which will need to be bought brand new to create a smoothly-functioning machine. You can also cannibalize other electronic devices to get the parts you need. 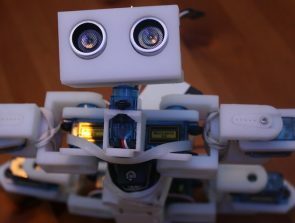 For instance, stepper motors can be obtained from old DVD drives, while the power supply from a computer can work just as well for the printer. 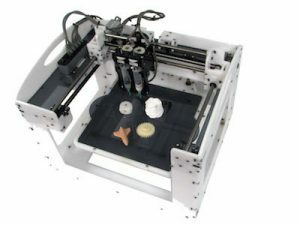 Once the hardware is ready, you will need to hook-up the printer to your computer, which should carry the 3D rendering software needed to send commands to the printer on the exact shape and dimensions of the piece that needs to be printed, and to convert your 2D drawings into 3D models. Now that you have all the parts and a set of instructions to follow, it’s time to get started building the printer! This is not a quick process. You will most likely have to spend weeks if not months on building the machine. Make sure you have all the soldering wire, connecting bolts electrical wiring etc. you will need to complete your project. Don’t try to rush through the steps all in one go. You will quickly become tired and start making mistakes while assembling the printer, which will both waste your resources and result in a faulty machine. If at any point you run into problems, which you almost certainly will, don’t be afraid to ask for help. It would be great if you can get a fellow maker to meet you in person and give you tips on proper assembly. But you can also seek advice on 3D printing forums. Upload pictures of the printer and the parts of the machine that you’re having trouble with and ask for advice. The 3D printing community is very close-knit and supportive of new members, and many of the more experienced builders will be happy to give you tips on building your machine. Now that you’ve created your printer and added the filament to the extruder, it’s time to get printing! If you’re new to the process, it can be difficult to know how to begin the process of creating the shapes you want. If you need a little friendly boost, there are many sites which offer pre-designed shapes and objects files. You can download these files and run them through your 3D rendering software to create your first 3D printed parts. Just make sure that your printer is capable of printing out the dimensions specified in the downloaded files for the parts. I bought a 3D printer from Mingda in China. It is the MD-6C. It has never been able to print anything and the company have been really bad with support. They do not like it that they sold me a lemon. Can print only with an SD card. Am I able to change the board and use something else that actually connects to my computer. Or, how can I gain access to the board and reprogram it to work through my computer and use different software. I would rather go with an open source design than buying a cheap replica.